Ha! So much for me posting more. To be honest though it has been a much busier year. 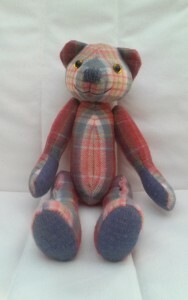 I lost count of the mount of wee bear custom orders in different tartans I received in the run up to Christmas. Wonder what 2019 will bring? 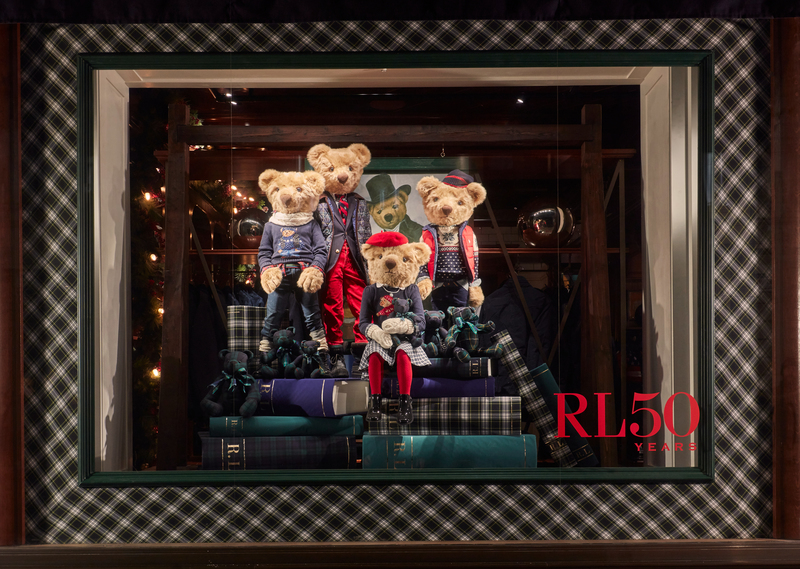 Below are the North Bond Street and Regent Street windows in London with Knockie Bears as part of the display. It has been a while. Many things have happened since the last post, including lost passwords etc. Admin is not my strong point. I’ll endeavor to post a bit more frequently and catch you up with what has been happening. The biggest news was probablt the phone call late last summer from Laura at Ralph Lauren EU. Yep, you read that right. Bit of stressy time for me. 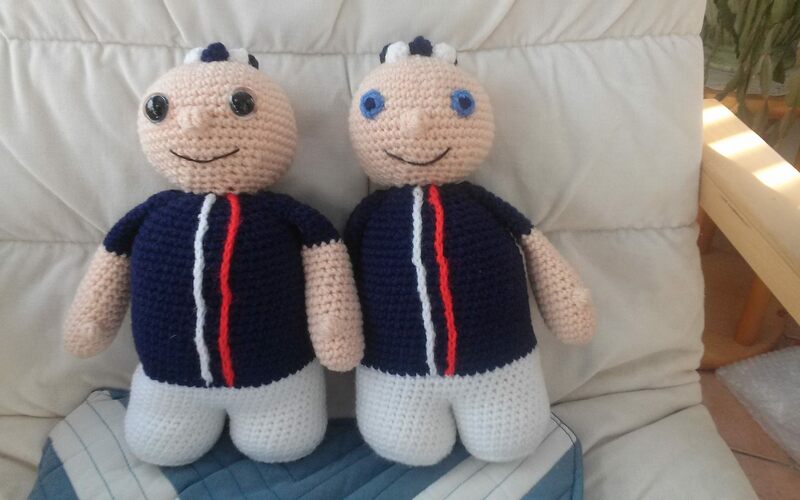 I like time to make my bears and by the time they decided on what they wanted, the deadline was tight. 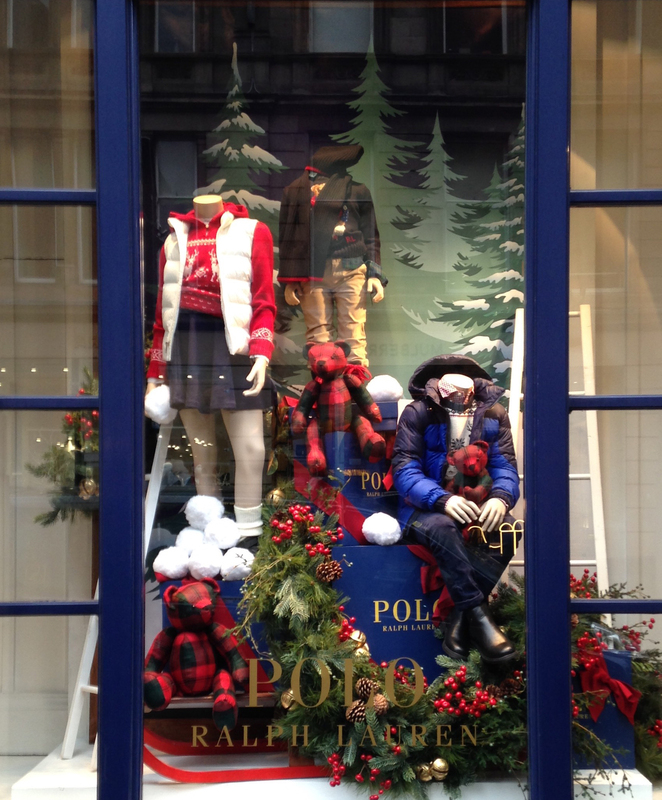 In the end the bears ended up in Christmas windows in Glasgow, London and Rome. I got to see the Glasgow window. 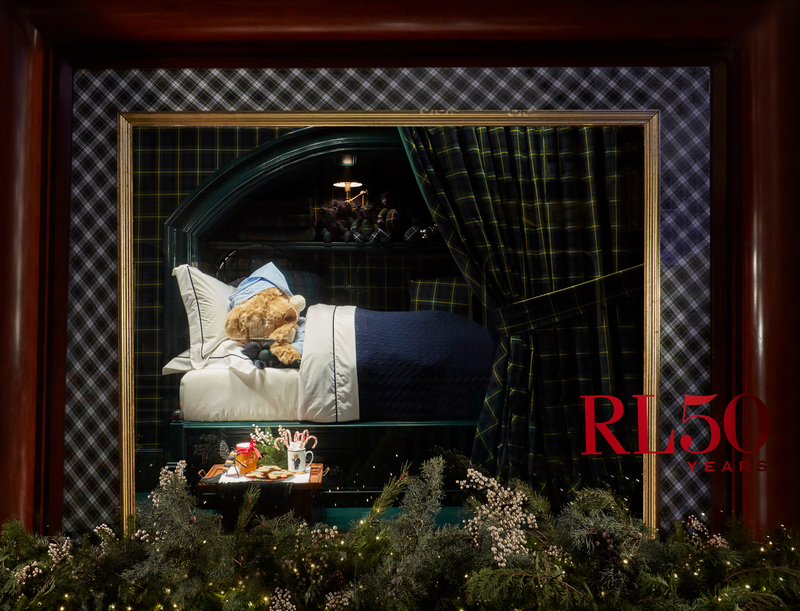 The head man at Ralph Lauren did send me professional photos of all the windows early this year though with a wee thank you letter. I was so excited. They came back this year for more and gave me a nice long period to make them in. Should be finished soon and on their way to London. Wonder where these ones will go? 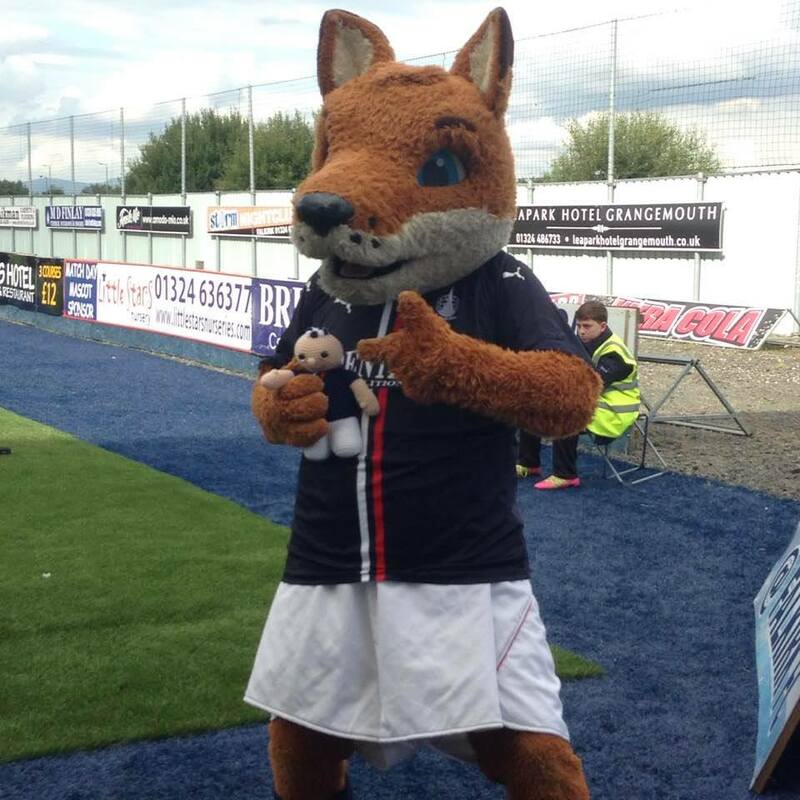 Next was Wee Crunchie ( I think that needs explained by the Falkirk fans). 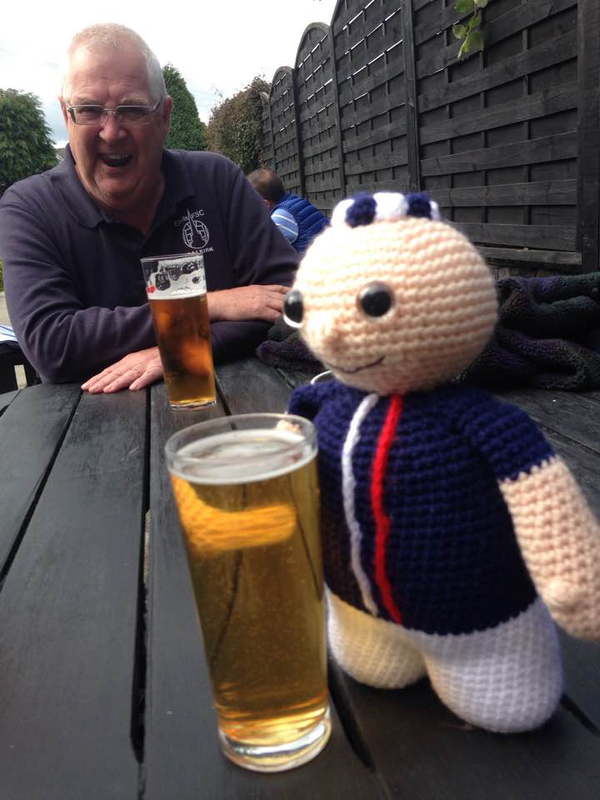 On his first outing Wee Crunchie was taken for a pre match pint and then sat beside some local dignitaries and season ticket holders for the game. Afterwards he met the real Mascot Fergus. Not quite sure what Fergus made of this impostor. Was he thinking post match snack? 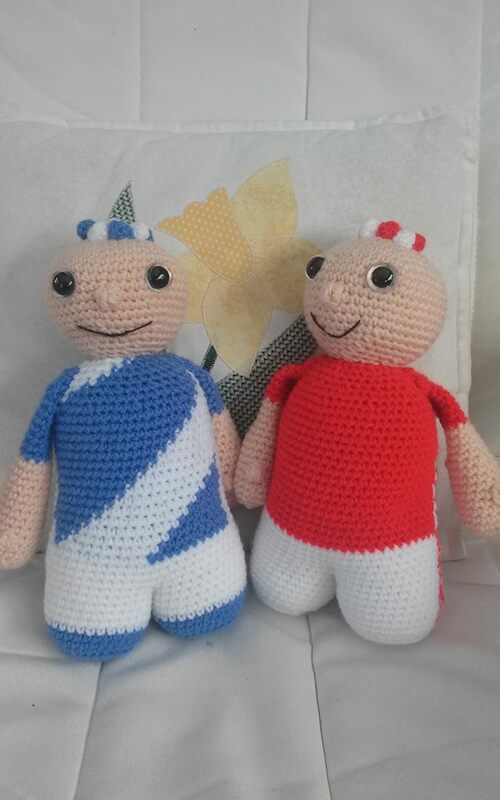 and another grandparent ordered up a Dundee United mascot for her grandson. 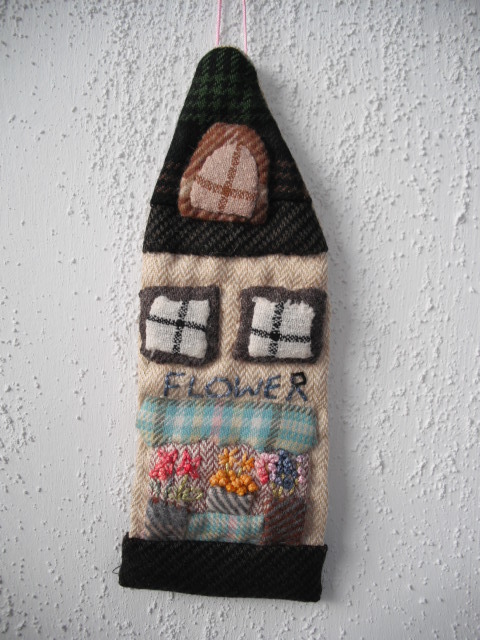 Now that I have found a little time to attend to my online shops I have discovered there is such a thing as Folksy Friday. You choose a topic, go window shopping on Folksy.com and share the finds you like best on your blog. Here goes. 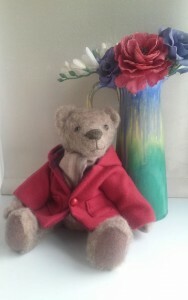 For my first Folksy Friday I am going to see how many quirky types of bear there are out there in the handmade world. 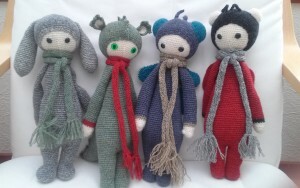 https://folksy.com/items/6803821-Thread-bear these little bears just shout out that they need love! 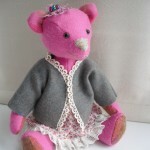 https://folksy.com/items/4403034-Blackwork-bear Love that this bear maker uses daring colours, fabrics, and style. I have had a fascination for some time with bears made from felted knitwear. 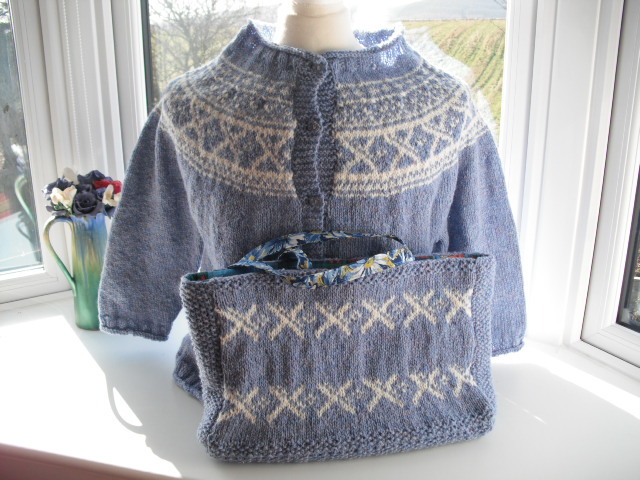 My intention was to start with a felted aran jacket I had of my own but the pattern is very intricate and I couldn’t decide which bits to use. 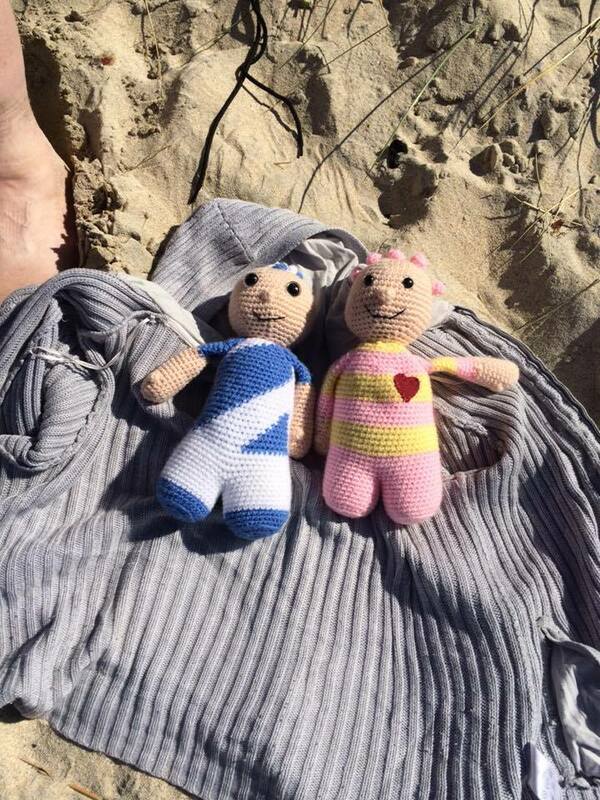 I have long appreciated the Burra Bears of the Northern Isles. 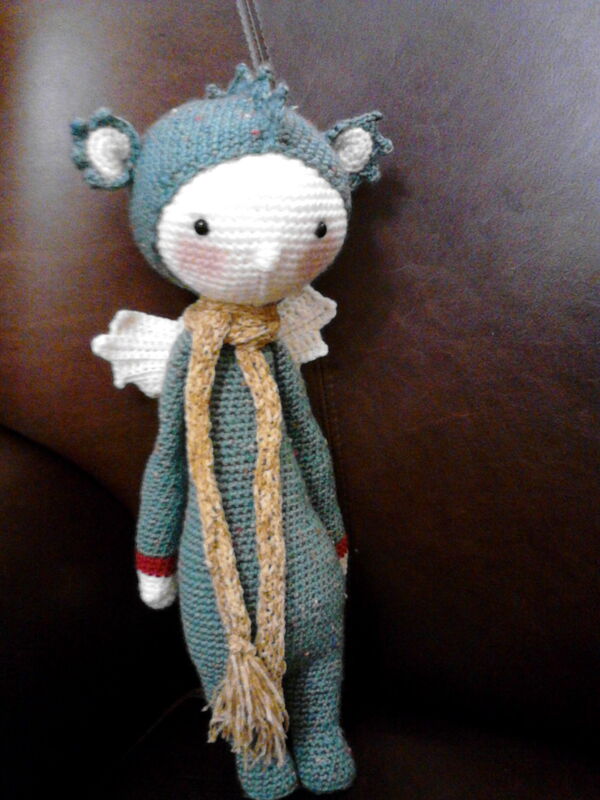 When a textile artist I follow posted that she had sweaters she had felted was anyone interested in purchasing? I couldn’t resist a wee peek. I managed to purchase some fairisle type patterns. I searched my patterns to determine which would be most suitable to this very thick fabric. I think I settled on the right one. They are fully jointed and as a wee personal and individual touch I have give each one a cowl scarf which is secured by large, vintage buttons. Genuinely vintage, from button stashes of previous generation. One was given to Parkinson’s UK for an online auction in Aberdeenshire. One is in my Folksy shop (link on right of page), another is In Hellygog at Logie Steading, outside Forres. The 4th is still here with me. I have another two cut out ready to assemble. I would like to offer this as a service to anyone who has accidentally washed a loving sweater at the wrong temperature. If you would like to turn a ruined sweater that lurks at the back of the cupboard into a living, cuddly object, get in touch. At a Christmas craft fair last year I discovered a charming and whacky business called Hellygog. In 2 days of freezing cold in a garden centre we chatted a fair bit. A few weeks back I was contacted by Jude of Hellygogs. She and her husband were opening a shop at Logie Steading visitor centre (IV36 2QN) near Forres. A well established centre offering shopping, eating, heritage centre and riverside walks, this was a favourite with us to take the parents to when they were up visiting. It therefore was an inviting prospect for me to participate. 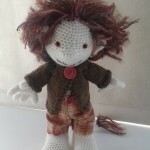 Jude was hand picking items from the crafters and artists she has met over the years. 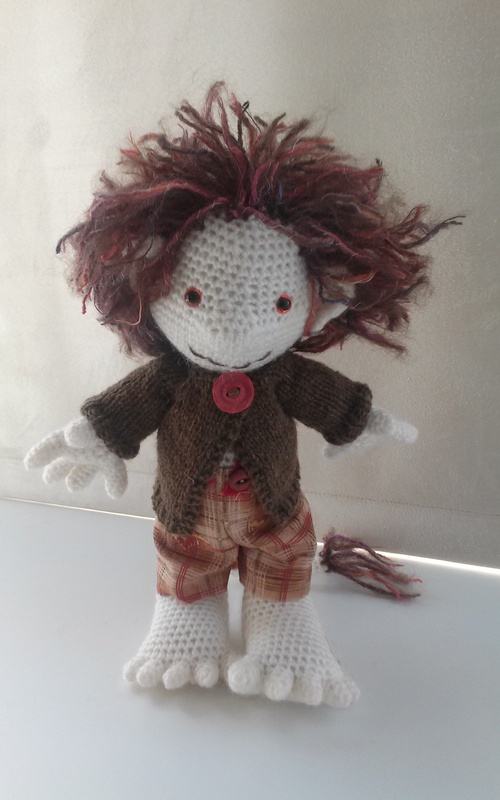 She had fallen in love with a crochet dragon doll I had on my stall last year. So much so that she eventually bought it. 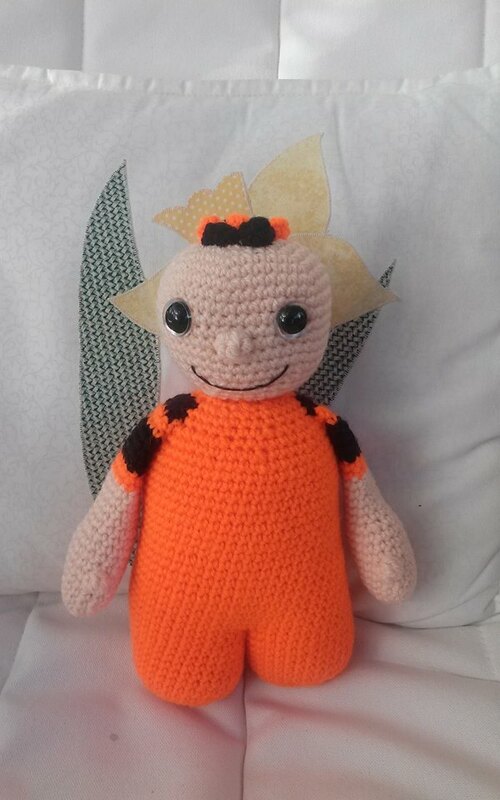 She asked if I could possibly provide some crochet dolls and some bears. 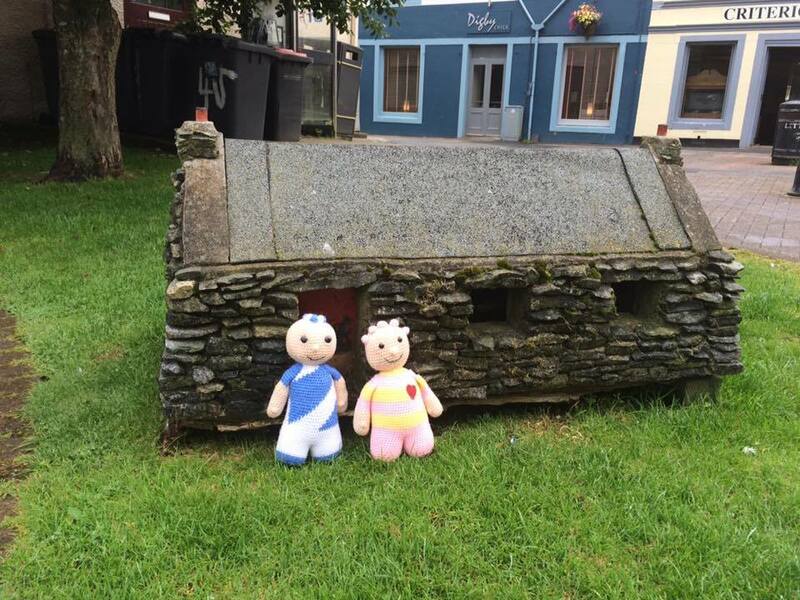 While pondering what fabrics to use for the bears I received an email from Johnstons of Elgin to say that they had placed bundles of end pieces of fabric in the shop for sale. As we were going to Elgin anyway that day I persuaded husband to go round that way. 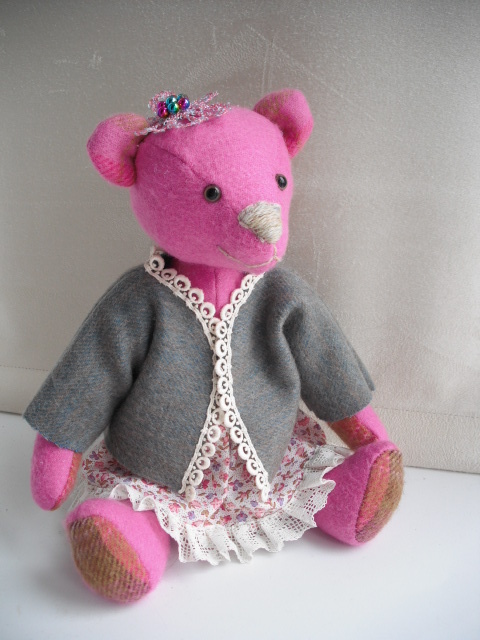 One touch of the cashmere bundles and I knew the bears for Hellygog just had to be made in cashmere, it’s so soft and tactile. 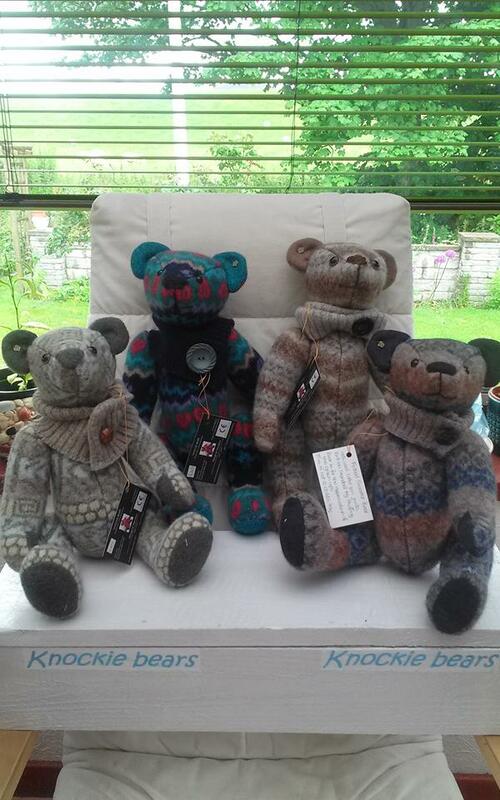 So, 4 completed bears and 4 dolls later and we take a trip through to Logie Steading. What a wonderful place Jude has created at Hellygog. Although the crafters rent a space she has mixed everything up so that everywhere you look in the shop there is a feast of creation to view. Even on the third time round the shop you are noticing things that you didn’t pick out on the first two walks round. I really do wish her all the best with this shop. If you ever find yourself on the Forres to Carrbridge road please pop in. In fact if you are up this way on holiday it would make a good day out doing the walk, take a picnic, browse the shops in the steading. I bought this wool on a visit to New Lanark Mill. I purchased what I thought I needed to knit my Saltire dress, using the Rowan pattern for the Union Flag dress but only using the Saltire section. Anyway, somehow I miscalculated (not on purpose, honestly) and after knitting the dress discovered I had bought twice as much as I needed. The plan then was to knit a cardigan but I couldn’t find a pattern that I liked. I am now at that age where I have discovered the joy of 3/4 length sleeves and loose necks. Fell in love with this Drops pattern (www.garnstudio.com). It had more fairisle pattern than this but I took some of it out and left what looked like Saltires. First project from the book purchased at the quilt show last month. Mother knows I am knitting a garment for her and she picked the shade. No matter how fat I knit though it will never be ready in time.